You’re always worrying about your kids. Are they getting enough to eat? Are they safe? What if they get hurt while they go to their friend’s house? But when you’re homeschooling with anxiety… You’ve added a whole new layer to the fear. Will they make friends? Are they learning too much? Will they resent you for homeschooling? Thankfully, I’ve been homeschooling with anxiety for a few years now… And I’ve come up with some fairly simple ways to keep my anxiety in check while homeschooling. Now, I’m not promising you an anxiety-free life, as anyone who battles anxiety knows. We’ll worry whether there’s something to worry about or not. In fact, if there isn’t anything to worry about, we’ll probably worry about why we aren’t worrying. 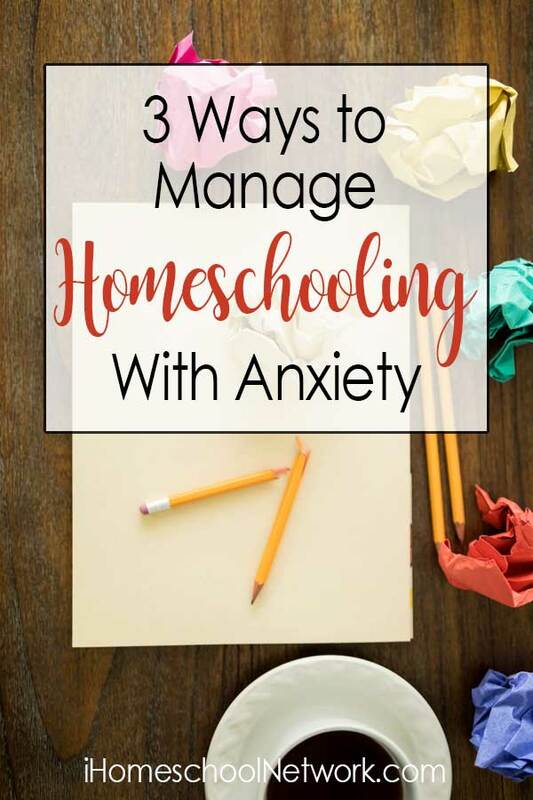 But what I can tell you is that these three simple tips help me manage homeschooling with anxiety and keep our family move in the right direction. When I first started homeschooling, I let my anxiety get the best of me. I wrote out a detailed, to-the-minute schedule that we would follow as a family. Apparently the two-year-old didn’t actually nap until 9:45 every morning. Sometimes she was up at 9:30, other glorious days she napped until 10:15. And wouldn’t you know it, sometimes math took longer than 20 minutes when my son was calling me the WORST MOM EVER for forcing him to learn things. Nothing went according to my perfectly written schedule, and it drove my anxiety up big time. I wasn’t being the mom I wanted to be, and routines fixed that for me. See, I still needed some sense of order because I really don’t do well with chaos. But when I threw the clock out the window and stuck to a basic routine or rhythm, things started working smoothly. We have breakfast, then start school. Before you roll your eyes at me… I don’t mean the type of self-care that’s become fun and popular online these days. You don’t need to take long, luxurious bubble baths (though, if you can, you totally should!) and you don’t have to leave the house for a “break” every week (but, again… you totally can if you want). I’m talking about the very basic self-care that people with anxiety tend to skip over. Taking time out of your day to journal, if that helps you. Making sure you get a cup of coffee in before the kids come yelling at you for breakfast. Whatever tiny self-care activities you can manage to fit in your day, do it. It will do a world of good for your mental health, and your kids will appreciate a calmer mama! Finally, always have a backup plan. In fact, feel free to have a backup plan for your backup plan. See, a lot of my anxiety stems from the what ifs in life. What if we don’t have time for science today? What if we don’t get to the park day on Wednesday? What if I am sick and can’t do lessons? That anxiety is eased when I have a solid backup plan. When I’m sick, the kids do their independent lessons they can do without me, then they watch Magic School Bus or Sid the Science Kid. Just knowing that I have that plan helps me to calm myself down when my anxiety gets bad. With these three simple steps to manage homeschooling and anxiety, I hope you feel more ready to tackle your homeschool! Kaylene George is an autistic self-advocate, author, and mother of five, including one autistic child. She realized her own autism as an adult shortly after her son received his initial diagnosis. Suddenly the parts of her that seemed so “weird” to society had an answer. 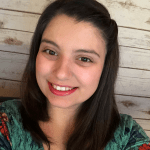 Since then, Kaylene has passionately shared about her experiences with autism from both sides of the great divide between parents and autistic self-advocates.